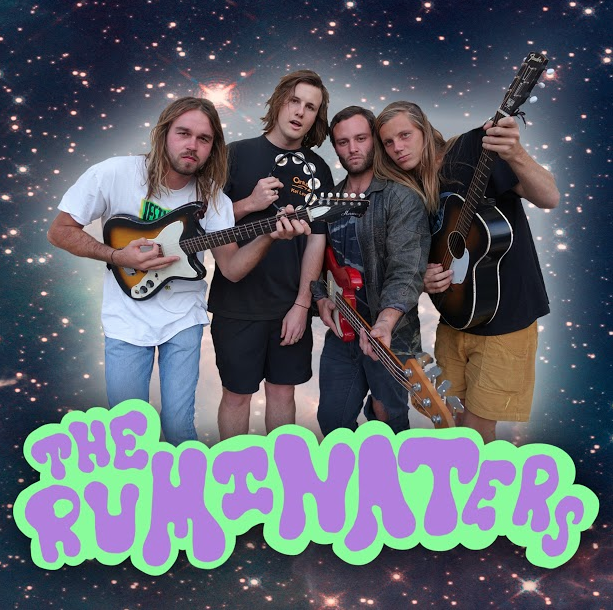 Today we're spending Seven Questions In Heaven with The Ruminaters' drummer Teddy! We recently were told in a review that we sound like "London Calling era Clash fused with The Strokes." That works for us. John, Paul, George and Ringo. Julian Casablancas, David Gilmour. As far as influences go, we have been listening to a bunch of really cool stuff lately like Gap Dream, Mac Demarco, Mr Elevator & The Brain Hotel. Honestly couldn’t tell you with any certainty but probably Jack Johnson's Brushfire Fairytales. Or Jamiroquai? Once we played a show in an old fashioned hotel in Potts Point Sydney that was based on Hotel Chelsea in New York. We played in the lobby on top of a massive rotating record player and we all got our own engraved hip flask. We spent the night roaming the hotel which was lined wall to wall in weird and wonderful things. Surf, pool table, and Buck Hunter. Musically? I’m now listening to Jamiroquai because you reminded me. Final question: You're the opening act of a music festival. You can get any five artists, living or dead, to perform on the bill with you. Who do you choose? Beatles, Strokes, Pink Floyd, Neil Young, and The Kinks.